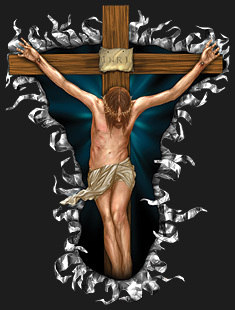 When you design a graphic like this you take your time... and deservedly so. The realism and impact this graphic has is really special and we are very proud to offer this one. 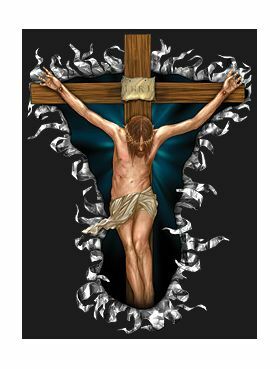 Show your religious colors with this torn metal-look- Jesus on the Crucifix graphic. Sold as a pair, right and left sides.